Climate Fieldview — Munro Agromart Ltd.
Munro Agromart is your local Climate Fieldview dealer. Fieldview is a farm management platform, which enables producers to have a better understanding and knowledge of how their crops are growing and performing throughout the growing season. This platform allows for growers and retailers to connect their farm data to help make agronomic and economical decisions regarding their operation. Below is some information regarding Climate Fieldview, and please call or come visit us if you have any questions. Click here to check your equipments compatibility with Climate Fieldview. Fieldview is capable of connecting realtime data from the cab of your machine during planting, application and harvest. Fieldview also enables for historical data to be uploaded which benefits the agronomist to make more accurate recommendations. 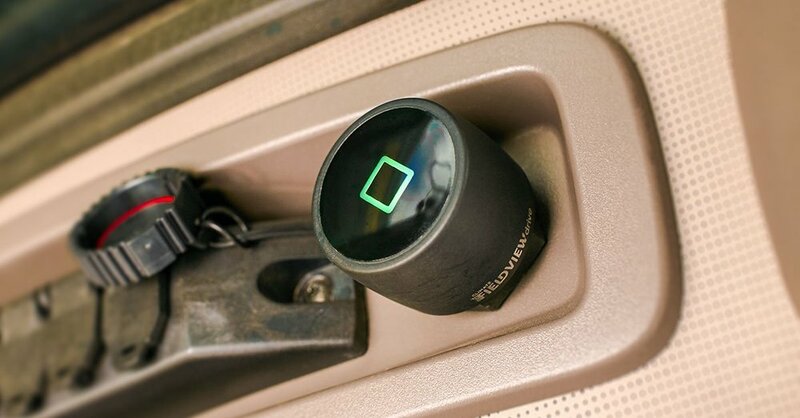 With a connectivity plug inserted in your machine, all the data recorded from the cab can be seen in real time to better access your operation, which results in a greater production efficiency. Fieldview has state of the art imagery and map technology which brings a proactive approach to better manage crop health. Vegetation maps allow for more time management and best practice decision making as well. Harvest data allows for the grower and agronomist to compare previous data such as variety, soil type, and weather to be able to make economical decisions for the future. 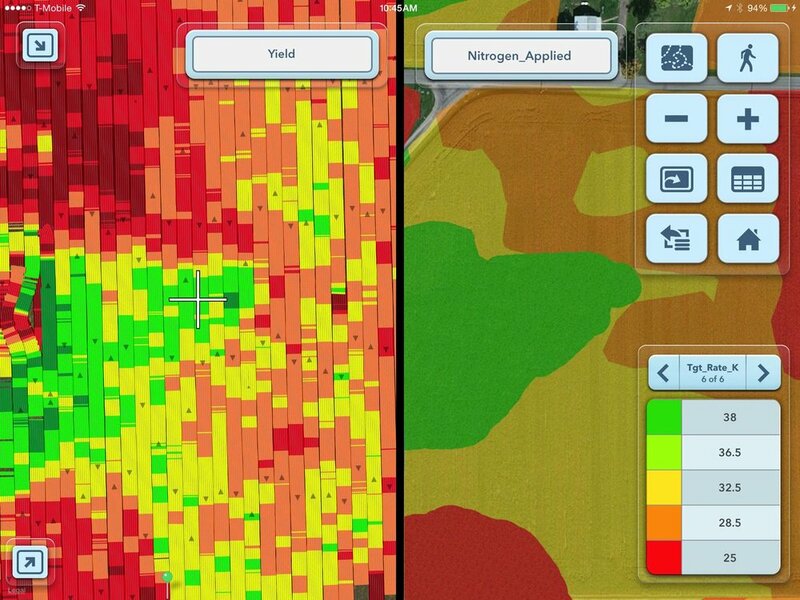 Side-by-side maps also allow for easily comparable data from field to field growing stages. Improved seeding capabilities is an economical way Fieldview will benefit your bottom line. With VRT fieldview has the ability to recommend areas on your farm to apply variable rate planting population depending on profitability goals. 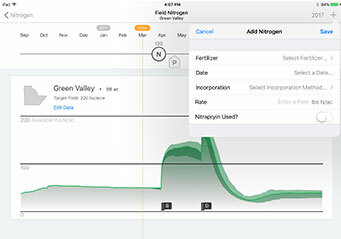 Nitrogen management is also another tool Fieldview utilizes for crop input management. Changing weather and soil conditions affect the amount of nitrogen loss, which is monitored by Fieldview to plan ahead and create variable rate nitrogen maps for in season application.